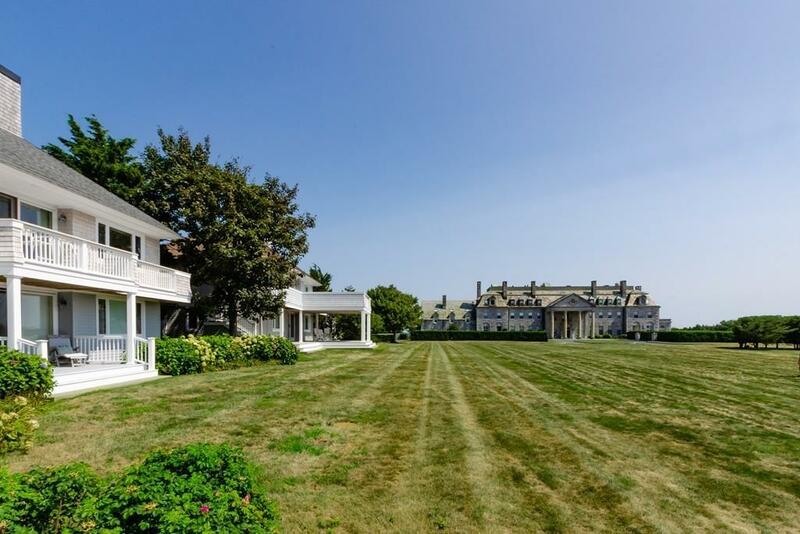 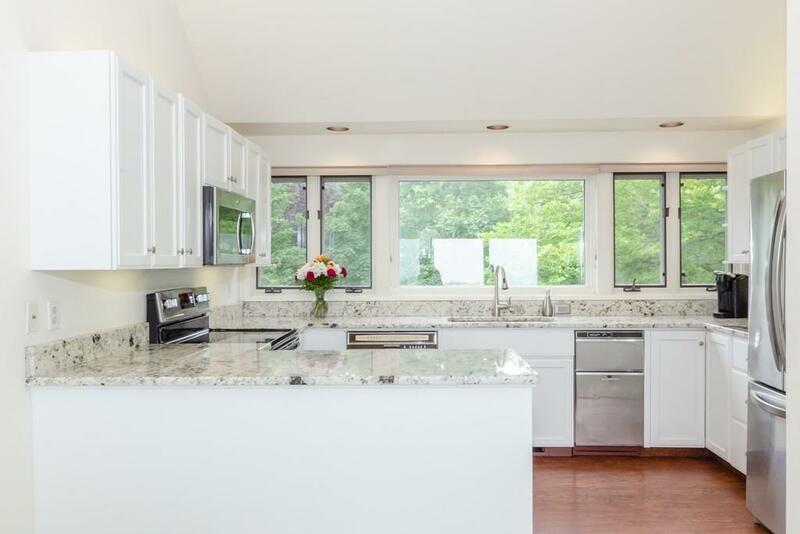 Stunning 3 Bedroom (+ family room) 3 Bath ocean-view home with sweeping views of Buzzards Bay. 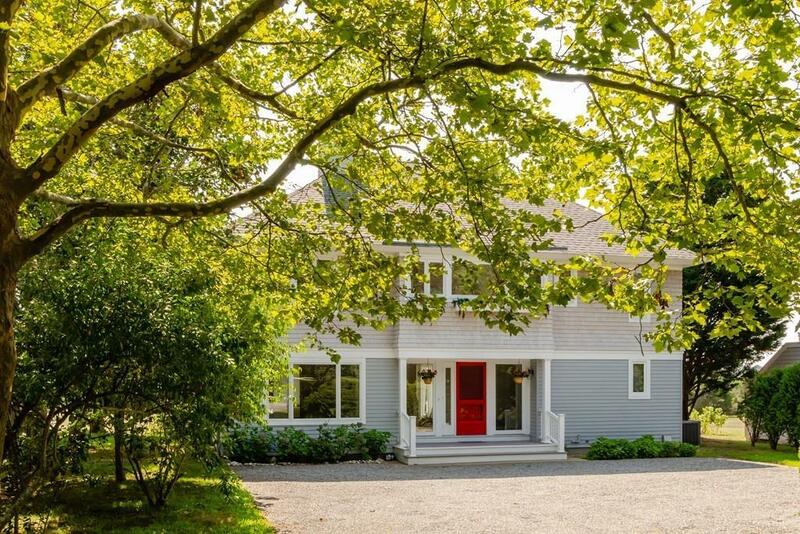 Located in prestigious gated Round Hill, this updated home has an open concept living room with cathedral ceilings and fireplace, new kitchen cabinets, granite and marble countertops, stainless steel appliances, central air conditioning, and ocean-view bedrooms with ensuite baths. 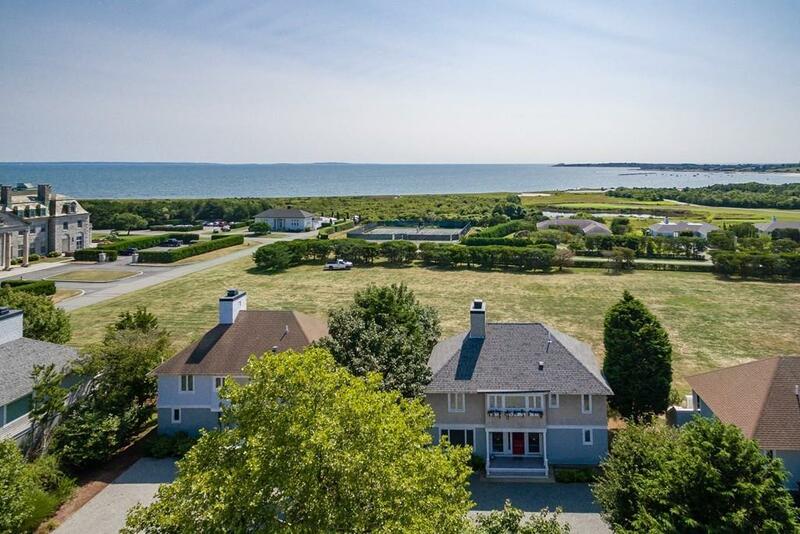 This unique home has a long private driveway and very large front yard, and a high finish floor elevation, with a two-minute walk to clubhouse with pool, tennis courts, golf course, boat dock, private beaches and the sea beyond.